First recognized by Congress in 2004, National Day of the Horse honors the contributions of horses to the development and culture of the United States. 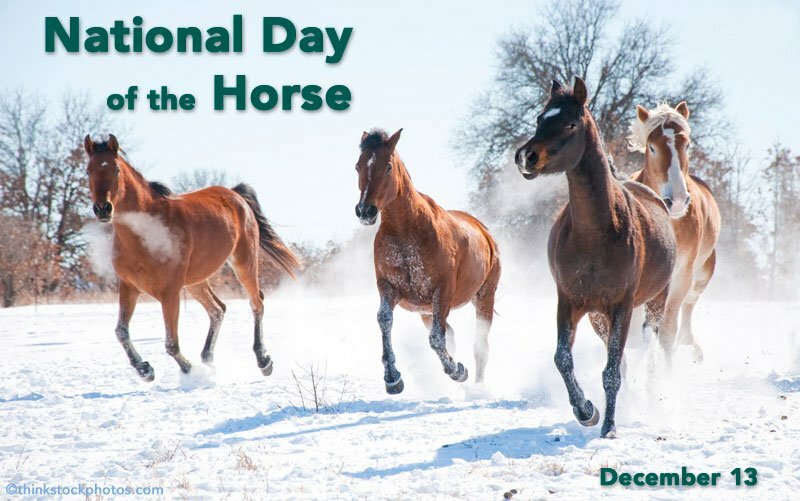 Encouraging citizens to be mindful of the contribution of horses to the economy, history, and character of the United States and expressing the sense of Congress that a National Day of the Horse should be established. (3) urges the President to issue a proclamation calling on the people of the United States and interested organizations to observe National Day of the Horse with appropriate programs and activities. On the anniversary of the first official National Day of the Horse, horse enthusiasts are encouraged to celebrate the horse’s contribution to the United States. 4.6 million Americans are involved in the industry as horse owners, service providers, employees and volunteers. The industry has a $102 billion impact on the U.S.economy when the multiplier effect of spending by industry suppliers and employees is taken into account. The horse in general deserves all this and more. Everyone should be aware and appreciate the horse’s contribution to our states development and the contribution they make in our lives now. I have heard people say “stinky nasty horses” but they need to know and appreciate how horses have improved our way of life through many sacrifices they had no control over. I love horses forever. That’s so cool that there’s gonna be a national horse day! I am so so happy to hear that you as Congress has excepted the fact that HORSES were here and contribute to a large part of are heritage and still is for the most part, I like to think they represent us as a strong country!! Thanks Horse Channel for informing us and to help us remember this time every year!! sweet, my horses are getting some extra treats today, Happy National Day of the Horse!!!!!! Thanks God, Horses will have their credit for what they are: part of our lives, history, present and future. I hope they will have a national day of the horse!! I’ll believe in the existence of a National Day of the Horse when the US bans transport to Canada and Mexico for slaughter. When all the meat auctions are closed, and the kill buyers gainfully employed in real jobs. And the mustangs safe on the wild ranges, not harassed and tortured by BLM contractors. Until then, the National Day of the Horse is just a fuzzy feel good idea. Why not make it international day of the horse? I live in Canada and would love to make it a celebration here also. Could the date be changed to something in another season so there could be actual activities scheduled? In December the weather is too cold to do outside activities and many of us don’t have indoor arenas. We can’t count on roads being good to trailer horses and could have snowstorms, icy roads, and below zero temperatures. I love the idea of a national horse day and think we’d get more response if we could have actual activities with horses and let interested members of the public attend. 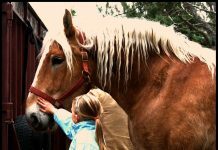 Create interest in horses for everyone. Decdember is also a busy month with a lot of holiday stuff to do and attend and most people will have so much going on they won’t participate in horse day activities. Just too busy a time in December as well as too cold in the winter. Another date would be much better! Thanks. I love it, I have enjoyed showing horses my whole life and always said horses have been a major part of history. Also wonderful it falls on my birthday!!! 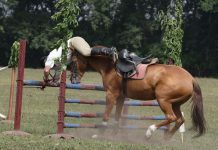 B-Day and will be @ the Barn with my Horse Celebrating his life! The best gift I could ever have. I love the idea of Day of the Horse. I also agree with “Kay” that having it during a warmer season would allow more opportunities for advocates to celebrate it. I live in Kansas, and December is not a friendly time to plan horse events. OMG – This is sooo unbelievable. I never realized there was a ‘Day of the Horse’. It is truly amazing because when I got married, I told my intended that: ‘Horses come 1st, then you’, with the disclaimer that if he didn’t like it..then he shouldn’t marry me! Well, guess what are wedding anniversary is? December 14th..I can’t wait to send him this link..This IS Priceless! Thank you for posting..you’ve made my whole next 2 weeks! I agree with this comment left by a previous reader.